Back then ORP was merely an inspired field of dreams, but nobody was sure how the venture would turn out – they have now held a sanctioned sports car race. That is a massive accomplishment. I had planned to drive out to the track on Sunday of the Founders Grand Prix to see how it had all worked out, when I received a phone call. 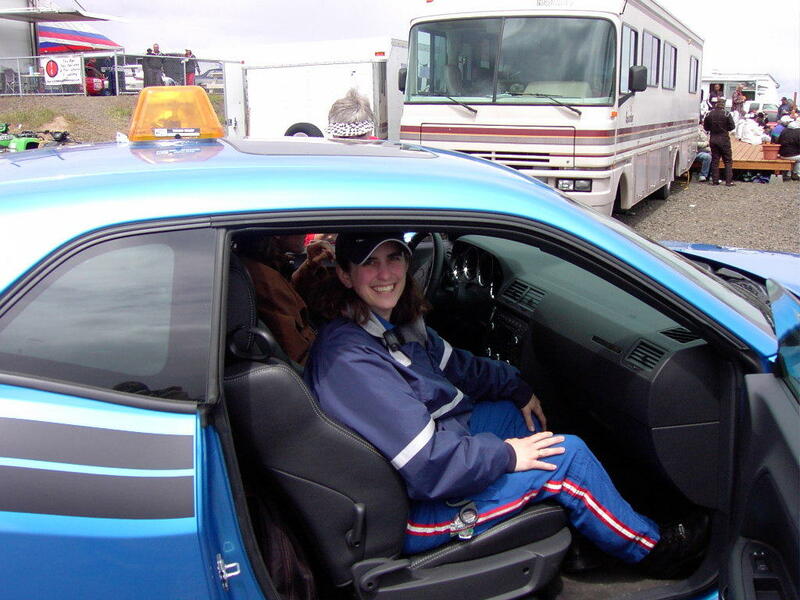 Holly Remington, who seemingly has had every responsibility at every car club in the Northwest, called to ask if I would drive the Pace Car… Really? Wasn’t I recently, banned, fined and then un-banned and then un-fined for some sort of unacceptable behavior..? …never mind that, and could I also bring a Pace Car? As it was Holly that had asked, I said yes. 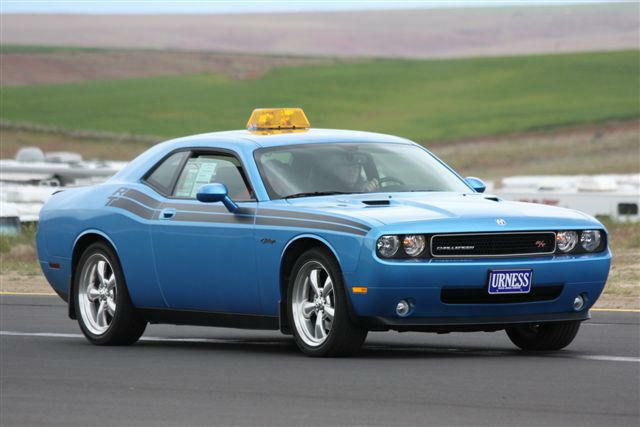 My first thought was to call Tim Urness at the Chrysler / Dodge dealership in The Dalles to ask if he was interested in being the “communications” guy (and if HE could bring a Pace Car). Tim is an easily certifiable motorhead and is also the guy who organizes the summer drag races that happen at the Dallesport airport (which is also the location of the top secret Team Hoodwinked test facility). We’ve been talking about a trip out to Grass Valley, and this seemed like a perfect excuse to go. Tim called me back from the veranda of a beach house in Virginia to tell me about the 80 degree weather he was enjoying, and the appropriately cooler temperature of the cocktail he was sipping – and, to tell me that he would arrange for the Pace Car. 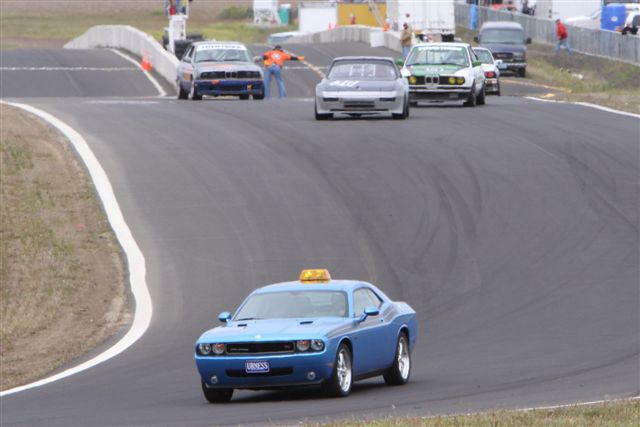 Tim and Mike (Tim’s brother) had recently taken a 2010 Dodge Challenger R/T with a six speed transmission on trade – he thought that car could handle whatever pacing might be necessary. And it did. There were a couple of notable highlights for me over the course of the weekend. Importantly, nothing bad happened – although I was “Red Flagged” while giving rides to the Medivac crew. I, of course, ignored the flag because the man holding it was not displaying it from the proper location… there are rules about these things and I know better than to disregard rules at a Conference race. It was an honor to be asked to drive the pace car at such an historic event. And, it was a huge privilege to be able to drive a couple of laps with Bob Caspell (the man who shepherded the track into existence). 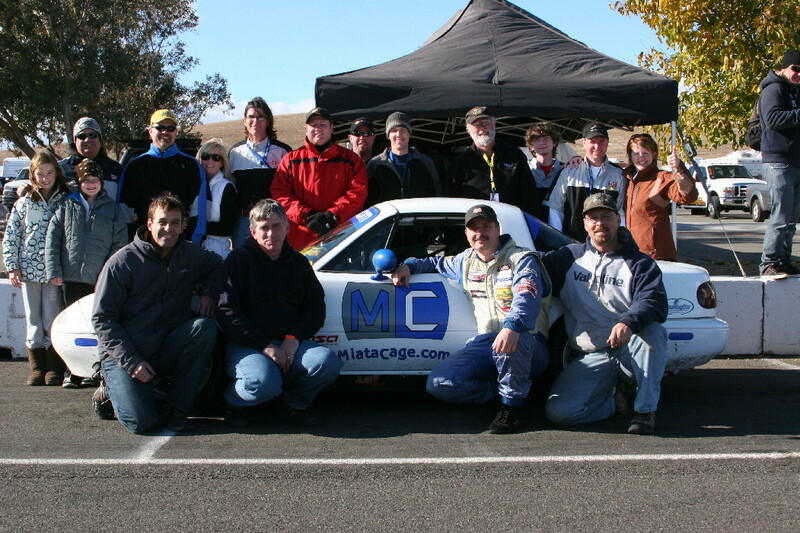 It was fun to take the crew members of the Medivac Chopper on tours of the track and I enjoyed spending some time with Bill Harris (who I know from working at ProDrive) who shared the Pace Car work load by handling communications. 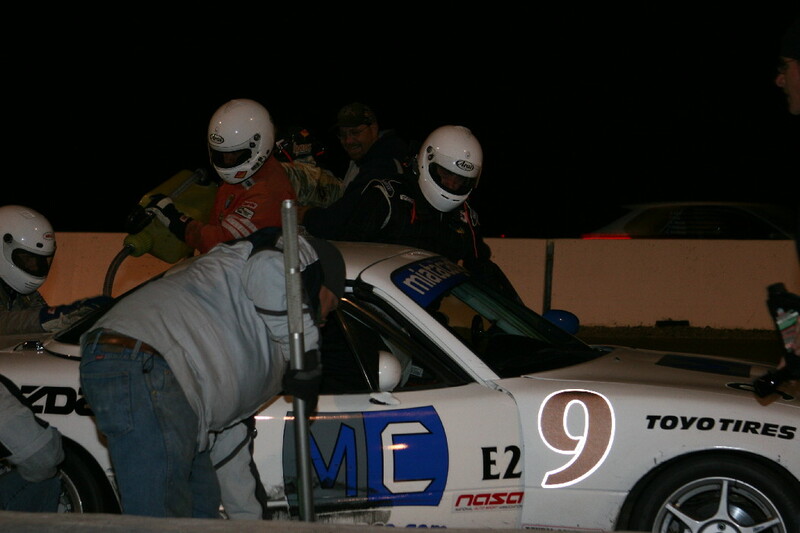 ORP will be a great Drivers School / HPDE track. Not having raced there, I’m not sure how I feel about it as a race track yet. It is very “turny” with a lot of elevation change – it is certainly technically challenging. Some tracks are very “racey” (meaning that they practically beg for you to attempt passes) – ORP is not one of those places. 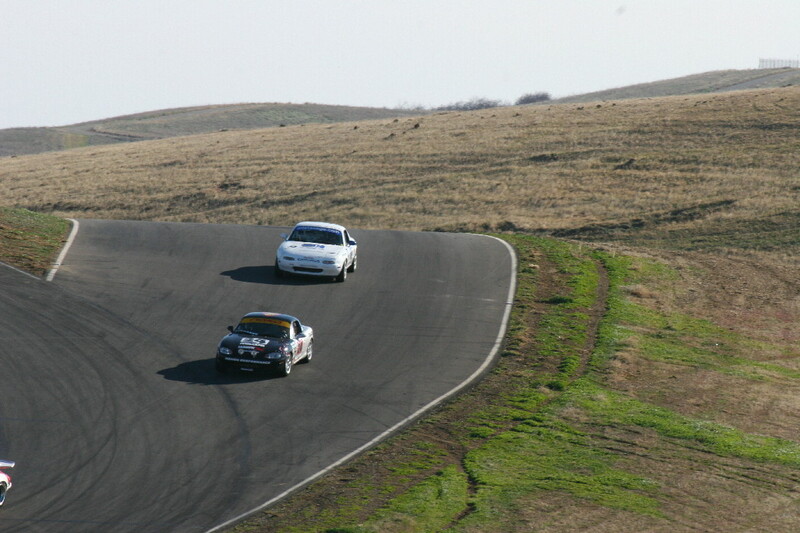 It may be nearly impossible to pass a skilled driver with a “wide” car – we’ll see. 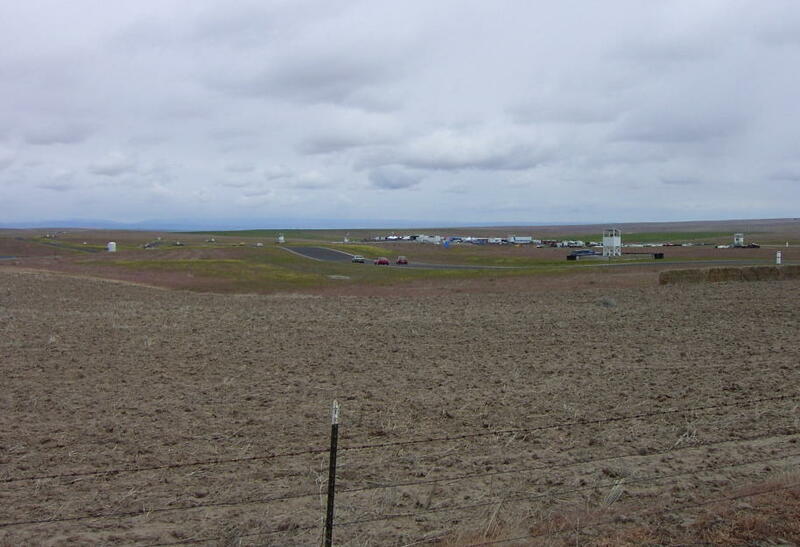 The setting is spectacular and the weather in that part of Oregon is much drier than on the west side of the state. 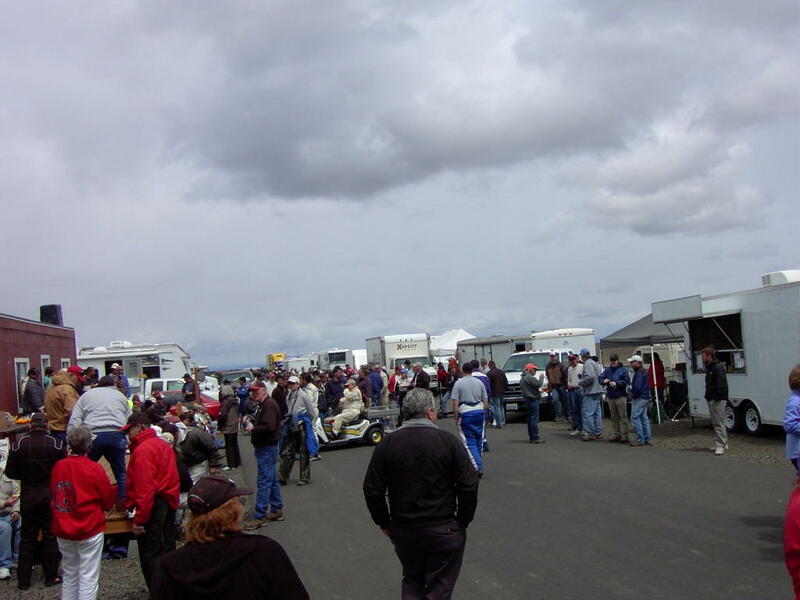 It is little more than a two hour drive from Portland – a small price to pay for access to a very interesting race track.